Google's chief executive Eric Schmidt has confessed that the search giants are carefully monitoring the way in which Microsoft's search engine Bing works. Although it won't come as any surprise, Schmidt – who also insisted that the green shoots of economic recovery are showing – told a festival in Cannes that Bing was being studied. "Bing is a competitor," said Schmidt, refusing to comment directly on reports that a whole team had been hired to work on Bing's algorithm. 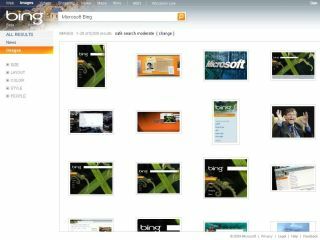 "We have absolutely looked at Bing; we have actually studied what they do as Microsoft studied what Google does." As well as confirming that Google is not burying its head in the sand over search, Schmidt also insisted that the tech industry should be optimistic for 2010. Schmidt believes that a smaller number of people claiming that they are jobless in the US indicates the beginning of a slow recovery. "The rate of jobless claims is decreasing although the absolute number is increasing," he explained before going on to claim it is "reasonable to be optimistic for 2010."